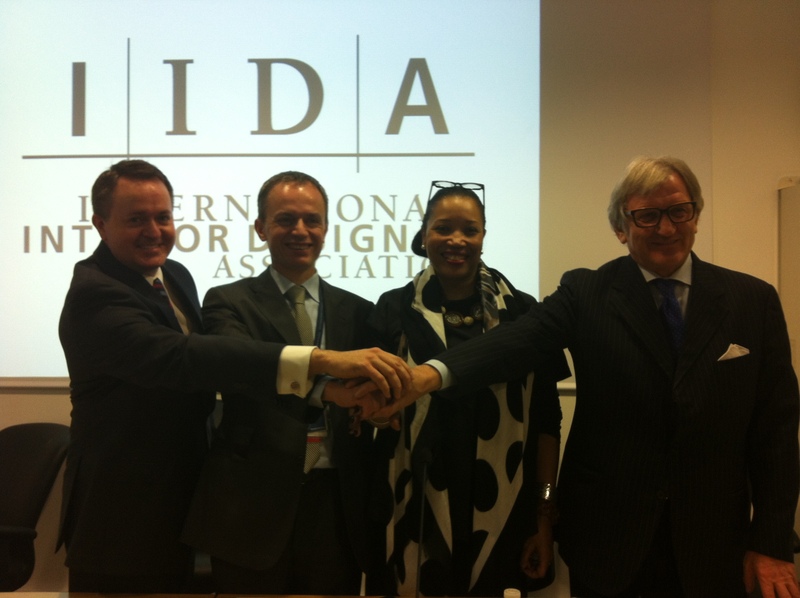 IIDA is excited to welcome IIDA Milan as its 32nd Chapter! The addition of Milan further underscores IIDA’s mission to support American and international interior designers, and grow IIDA’s global community and network. IIDA Executive Vice President and CEO, Cheryl Durst, and Senior Vice President, Dennis Krause visited the Milan chapter this week to help usher in IIDA’s newest hub. Milan becomes an IIDA chapter at a timely moment when the EmergeItaly competition winners were announced. IIDA, with FederlegnoArredo and the Italian Minister of Economic Development, created the EmergeItaly competition to recognize and celebrate the next generation of young design professionals whose product designs are innovative, functional, and original. This year, Honorable Mention was awarded to Miguel Brovhn for “O-Series” and Sarah Turner for “Flight.” The “O-Series” combines flexibility with linearity, and “Flight” converges classic American design with Italian minimalism. Best of Competition was awarded to Angel Beale for the “Folds Series” design concept. Beale’s design will be produced by an Italian design company and exhibited at the 2014 Salone Internazionale del Mobile. Additionally, all winners won a trip to Milan to attend the 2013 Salone Internazionale del Mobile. For more information on all winners visit the IIDA website. Congratulations to Miguel, Sarah, and Angel, as well as the new Milan Chapter! And it works, says one of Costa Ricas first-rate and highly recommended accommodations, the Palacio Tropical, majestically fronting the clear blue oceans of Cabo Blanco Reserve. You will discover that every port of call has something unique to enjoy. However, prior to planning for a guided tour with a more interesting Swiss cheese its acidity intensified.